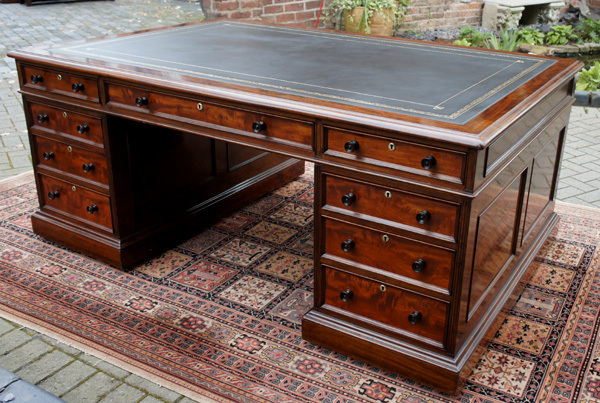 A handsome and imposing, antique mahogany partners desk with 18 drawers. 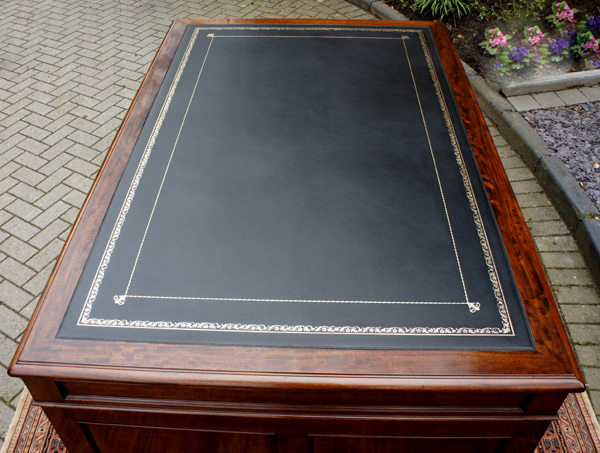 This large classically styled antique partners desk has been professionally restored to bring back the beautiful colour of the mahogany and would look stunning in any traditional or contemporary office as it has clean lines and a classic stylish design. 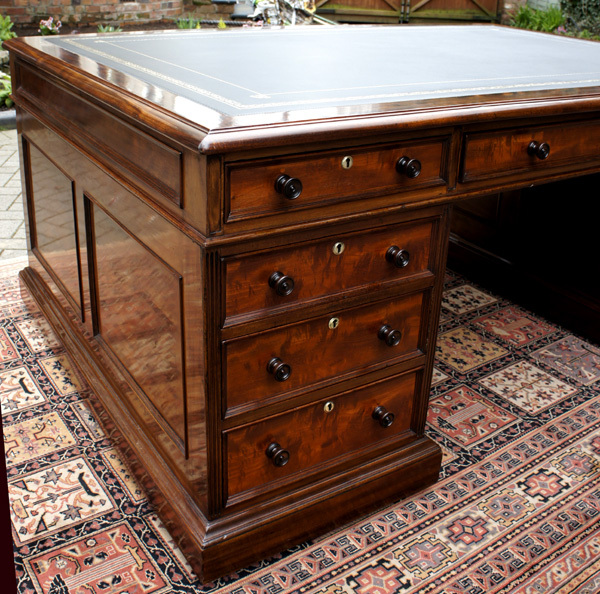 A handsome and imposing, antique mahogany partners desk with 18 drawers. mahogany and would look stunning in any traditional or contemporary office as it has clean lines and a classic stylish design. 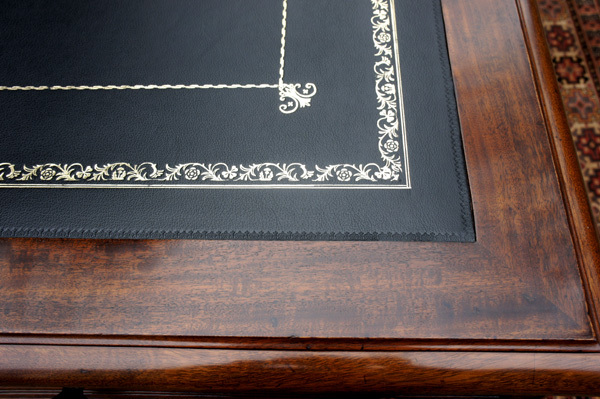 It is surrounded by a three inch cross band of mahogany with a bull nosed edge. The pedestals are each fitted with three drawers to the front and the back. 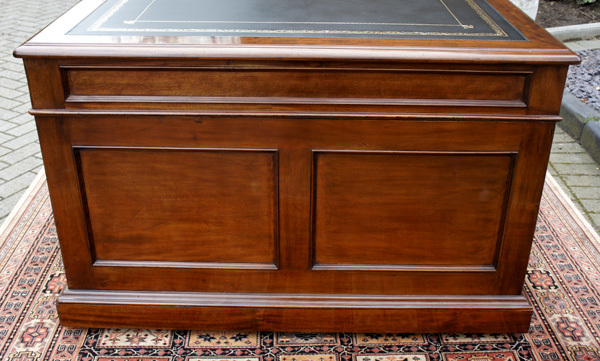 All drawers have mahogany linings with hand cut dovetail joints. As with all pedestal desks it is made in three sections, the top and separate pedestals, for ease of transportation and installation.